With the bill for the reorganisation of Andhra Pradesh having been approved by the Union Cabinet, the state of Telangana, the 29th state of the Indian union, is all set to become a reality. 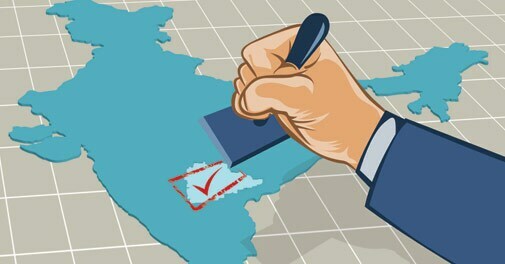 Contours: The state of Telangana will comprise 10 districts bounded by the remaining part of Andhra Pradesh to the south, Maharashtra to the west and Chhattisgarh to the north and east. Hyderabad, which falls within Telangana, will be common capital of both Telangana and Andhra Pradesh for at least the next 10 years. History: The demand for Telangana dates almost from the time the state of Andhra Pradesh was created in 1953. Before Independence, Telangana - then known as Hyderabad state - was ruled by the Nizams, while the rest of Andhra Pradesh - Rayalaseema and the coastal districts - was part of the British-ruled Madras Presidency. They were joined together as the residents spoke a common language, Telugu. The demand for a separate Telangana sparked major movements in 1969, 1972 and 2009. These often turned violent leading to police firing and deaths. Around 250 to 300 activists were killed between 2009 and 2012 alone. Grievances: Those seeking a separate state allege the Telangana region has been discriminated against by successive governments of Andhra Pradesh. It remains less developed than the other areas. They claim that though large parts of the catchment areas of the Godavari and Krishna rivers lie in Telangana, the benefits of irrigation from the canals built to channelise their waters have gone mainly to coastal Andhra. They believe large portions of the funds allocated to Telangana were never spent. Likely impact: Many hold that smaller states lead to better governance. States such as Haryana, Himachal Pradesh and more recently Uttarakhand and Chhattisgarh have done better economically than when they were part of larger states. However, the creation of India's 29th state may give a fillip to demands for separate states in other parts of the country, such as Vidarbha in Maharashtra, Gorkhaland in West Bengal or Bodoland in Assam. City dwelling Indians may bemoan the rising cost of living, but from a global perspective, they are fortunate. Not a single Indian city figures in global consulting agency ECA International's list of the 50 most expensive cities for expats. But the list still has many surprises. Topping it is neither London nor New York, but Caracas, Venezuela. At No.2 is Luanda, Angola. Last year's topper Tokyo is at No.10. A new study has found that people who can resist the urge to immediately look at texts they get on their mobile phones or take every call they receive are likely to be more contented. Three scientists at the University of Ohio, US, came to this conclusion, which contradicts earlier studies claiming mobile phones usage increased social interaction and reduced feelings of isolation, making folks happier. Around 40 to 50 projects have been held up since September for want of forest clearance. This is because the term of the members of the National Board of Wildlife, under the Ministry of Environment and Forests, which gives these clearances, has expired and not been renewed. All commercial project falling within a 10-km ambit of the 617 protected areas in the country - national parks and wildlife sanctuaries - need this special clearance.